Home » Food and Nutrition » Bone Broth Benefits: Treat a Leaky Gut, Reduce Cellulite and More! Bone Broth Benefits: Treat a Leaky Gut, Reduce Cellulite and More! You have likely had chicken soup or other meals made from bone broth before, but did you know that there are many bone broth benefits for your health? In fact, bone broth can be used to treat a variety of different health conditions. Bone broth is what is used to make chicken soup and beef soup, among other bone broth recipes. Bone broth is made using the bones and cartilage from meat, often chicken or beef. The bones and cartilage are simmered on a stovetop or crockpot, resulting in a liquid broth that can be used for soups or added to other meals. Sometimes, meat can also be used when cooking bone broth. Bone broth also contains several “conditional” amino acids. These amino acids are called conditional because our bodies do not produce them when we are under stress, meaning that we need to get these amino acids through our food. Bone broth contains four amino acids—arginine, glycine, glutamine and proline—that are needed for immune function, gut function, cognitive ability, and body detox. Is Bone Marrow Good For You? Many of the health benefits of bone broth come from bone marrow, which contains high amounts of gelatin and amino acids. Bone broth is used as a health food throughout the world. Many indigenous cultures have used bone broth for hundreds of years. Having to subsist on diets that were primarily meat, indigenous people would use bone broth to get the minerals and vitamins they need. The gelatin in bone broth contains collagen, which is used by our bodies for repair, wound healing, and rebuilding damaged tissue. Bone broth also contains both lymphoid and myeloid stem cells, which help strengthen our immune system. With all of the nutrients packed into bone broth, there are many wide-ranging health benefits when adding it into your daily diet. So what is bone broth good for? Here are some of the top benefits you can get from bone broth nutrition. Are there bone broth benefits for cancer prevention? So far, this is unknown, but we do know that bone broth can help prevent a wide range of health problems, by improving immune function. This is due to its dense concentration of minerals, amino acids, and other nutrients. There’s a reason you have chicken soup when you’re sick. 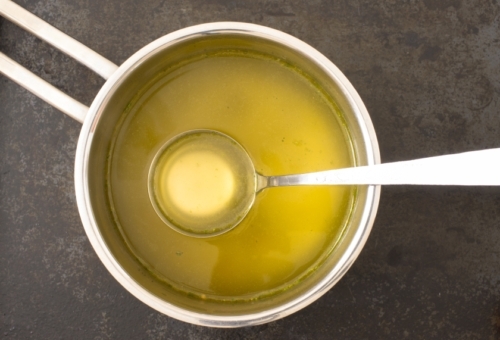 Studies have found that bone broth is effective in reducing the symptoms of the common cold. Bone broth helps clear your sinuses and respiratory passages. It also provides you with easy-to-digest nutrition. There are also bone broth benefits for athletes. In fact, bone broth benefits and paleo diets, when paired together, can really help you keep off the pounds. Obesity is actually linked to certain types of gut bacteria, which bone broth can help reduce. So you know that it’s good for you, but what is bone broth used for? There are a lot of different meals you can make using bone broth. The traditional bone broth meal is chicken soup, but bone broth makes a great base for all types of soups and stews, allowing you to add other healthy vegetables to the mix. Bone broth can also be used to make gravies and different types of sauces. However, if you aren’t a big fan of soups or gravies, you can use bone broth to cook your other meals. For instance, instead of boiling vegetables in water, use bone broth to add some extra nutrients and flavors. Finally, if you just want to get the benefits of bone broth without the hassle of working it into other recipes, you can simply drink a warm cup of it. Not only is bone broth good for you, but it’s also very easy to make. You can make bone broth with meat bones, water, and apple cider vinegar. When choosing meat bones for your broth, try to select meat that is antibiotic-free, organic, and pasture-fed; these are typically healthier. If you can’t get these types of meat, then regular meat will be fine. To make your bone broth, place meat bones into a Crock-Pot or a slow cooker, then fill it up with filtered water. Before cooking, add two tablespoons of apple cider vinegar. This helps draw out nutrients from the bone during the cooking process. There are so many health benefits to bone broth. Not only is it loaded with nutrients and good for many different health conditions, but it’s also very easy to make and add to meals. And you can use bone broth for weight loss, too. So start using bone broth to boost your health! “18 Health Benefits of Bone Broth,” Louise Hay web site; http://www.louisehay.com/18-amazing-health-benefits-bone-broth/, last accessed March 16, 2016. “Balanced Bites Mineral-Rich Bone Broth (Beef & Garlic) 1 cup/ per serving,” Self Nutrition Data web site; http://nutritiondata.self.com/facts/recipe/2422683/2, last accessed March 16, 2016. “Bone Broth Benefits for Health,” Wellness Mama web site; http://wellnessmama.com/23777/bone-broth-benefits/, last accessed March 16, 2016. Hilton Anderson, C., “8 Reasons to Try Bone Broth,” Shape web site; http://www.shape.com/healthy-eating/cooking-ideas/8-reasons-try-bone-broth, last accessed March 16, 2016. “Making Fresh Bone Stock,” Paleo Leap web site; http://paleoleap.com/making-fresh-bone-stock/, last accessed March 16, 2016. Mannelly, T., “Everything You Need to Know About the Benefits of Bone Broth,” Oh Lardy web site; http://ohlardy.com/benefits-of-bone-broth/, last accessed March 16, 2016. Vien, A., “Unbelievable Health Benefits of Bone Marrow That You Should Know,” LA Healthy Living web site, June 28, 2013; http://www.lahealthyliving.com/healthiest-food/bone-marrow-is-an-extremely-nutritious-food/, last accessed March 16, 2016. Whitman, S., “What Are the Health Benefits of Eating Bone Marrow,” Livestrong, April 17, 2015, http://www.livestrong.com/article/445905-what-are-the-health-benefits-of-eating-bone-marrow/, last accessed March 16, 2016.